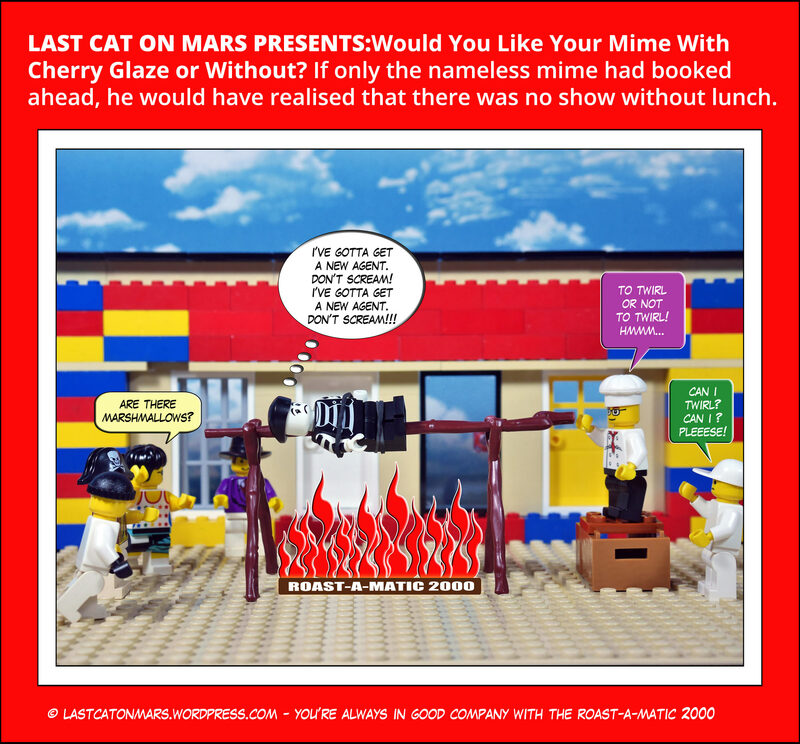 Last Cat On Mars Presents: Would You Like Your Mime With Cherry Glaze Or Without? It wasn’t often that this disparate group of friends – no, let’s just say acquaintances – got together for an outdoor do. And on this occasion there was no-one to naysay their menu choice, especially not the nameless mime, who was so dedicated to his craft that silence was his only riposte to the terrifying prospect of himself as imminent repast. This entry was posted in Variety Show and tagged cartoon, chef, comic, lego, mime, minifigures, roast, spit on February 7, 2018 by Jay Verney.